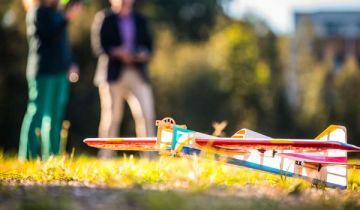 Innovative Illawarra businesses attended a two-hour event at the University of Wollongong on Thursday 1 June for a showcase on the advantages of drones to turbocharge business. Parliamentary Secretary for the Illawarra Gareth Ward said the exciting event - ‘Let’s Fly: Turbocharging your business with Drones and UoW’ –showcased to local businesses the advantages of drones for both commercial and research use. The event was run by the UoW’s Advantage SME initiative, which is backed by the NSW Government’s $12 million Boosting Business Innovation Program. The NSW Government has invested $12 million in the ‘Boost’ program in partnership with the State’s 11 universities – including the UoW - and the CSIRO to encourage greater collaboration between research organisations and businesses. “Drones are becoming more common due to improvements in technology, their relative low cost compared to airplanes and helicopters, and their ability to accurately fly into locations while using on-board cameras and sensors,” Mr Ward said. The event included presentations on the practical applications of drones for business; a drone research case study by Professor Sharon Robinson; and a presentation on Advantage SME and other leveraged funding opportunities at UoW by Zahra Shahbazian. There were industry demonstrations of drones and sensors, trade displays and flight simulators and information on how drones can help develop new products, services and business capabilities. Deputy Premier and Minister for Skills and Small Business, John Barilaro, said the Boosting Business Innovation Program is a fantastic initiative that gives businesses access to state of the art information and technology to strengthen their skills, products and services. For further information on the Boost program visit the webpage.